This template is for folks who don’t usually do their design work in the computer, or who want to experiment. 2. 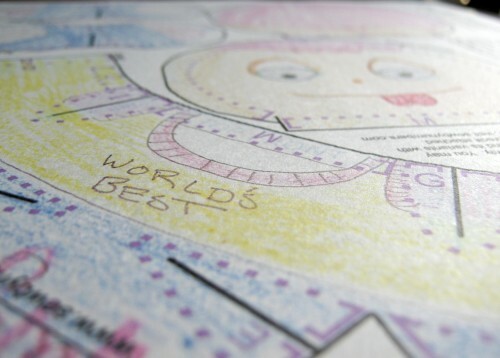 Draw on the printout (or paint, or collage, or…) and scan it in. Save your work. 3. Copy your scan into this finishing template (PSD | Layered TIFF) to add stitches and outlines to your design. Resize, rotate, and move your scan so that the two cross-shaped registration marks line up. 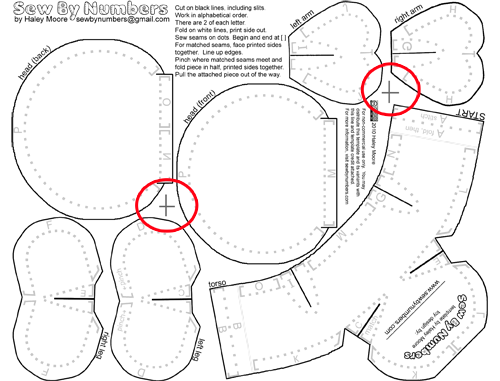 You may need to change the color of the stitches so they are visible over the design. Use white for dark backgrounds, and dark complementary colors for light backgrounds.